Bollywood Inspired collection, Heroine, Actresses and TV serial celebrity modeled shoots, Buy Celebrity Sarees, Salwaar Kameez and Lehengas. 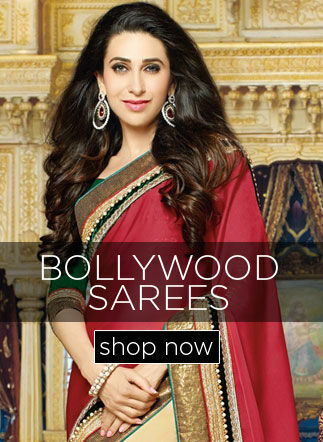 a) Bollywood Inspired collection The divas and TV actresses – the celebrities have worn sarees, suits, and lehengas at film fares, premier shows or in their films or TV serials which have become an instant fashion. Indian Wedding Saree keeps a close eye on the latest wear by drams queens and stars, and come up with similar style products to give that similar look and feel. These are not copies nor same products but similar products loosely based on what celebrities have worn. b) Heroine, Actresses and TV serial celebrity modeled shoots: We bring you designer high end products which are shot on high profile celebrities. These shoots give you a peek into how products look on stars and we - Indian Wedding Saree provide opportunity to buy the same products. The products are original and authentic.